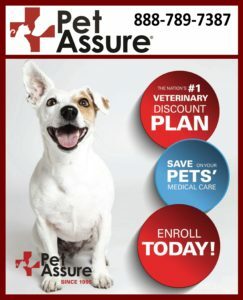 Pet Assure’s Pet Discount Plan is INCLUDED in your membership! 25% off ALL in-house medical services, at any network veterinarian. ALL pets in your household are covered – even older pets or pets with pre-existing conditions! It’s Simple! NO forms to fill out, NO waiting for reimbursements and NO denials of coverage.